Keiko got what she deserved. And it could happen to you next! Keiko's Celebration & Testimonial of The GreenHouse Group. 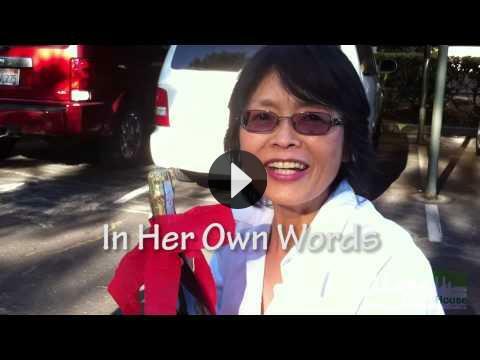 Keiko's Story of How She Got Her 1st Investment Property. Once upon a time there was a mom who's son was on his way to college. Every day wondered which route would be best for her: pay for his rent at the dorms or an apartment nearby – or – buy a small condo instead. One day, Keiko chose to get some facts to help her through this decision, found Jesse Ibanez f/ The GreenHouse Group and scheduled her Initial Consultation. Because of that, we determined that a starter condo was not only feasible, but far outweighed the option of renting even over a short term. We saw many homes together, and wrote *strong offers* on the good ones. Until finally, a few months after sitting down with Keiko she got the keys on a great starter condo right by her son's school that she can build equity with while he studies in the comfort of his own home.